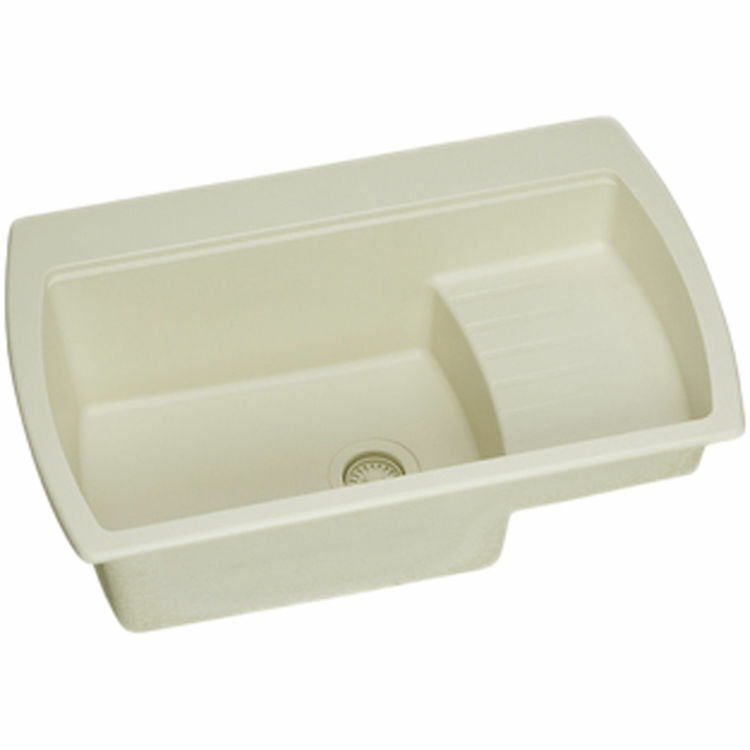 Elkay's ELQT342210LHK0 is a Harmony Quartech Sink. This single-bowl sink is molded from Elkay's Quartech, consisting of finely ground natural quartz and high performance acrylic resins. It features a 10" bowl depth and a 3-1/2" drain opening. This sink comes in a beautiful Husk finish. Shipping Dimensions 38.8" x 26.8" x 15.9"
Shipping Dimensional Weight 93.69 lbs.